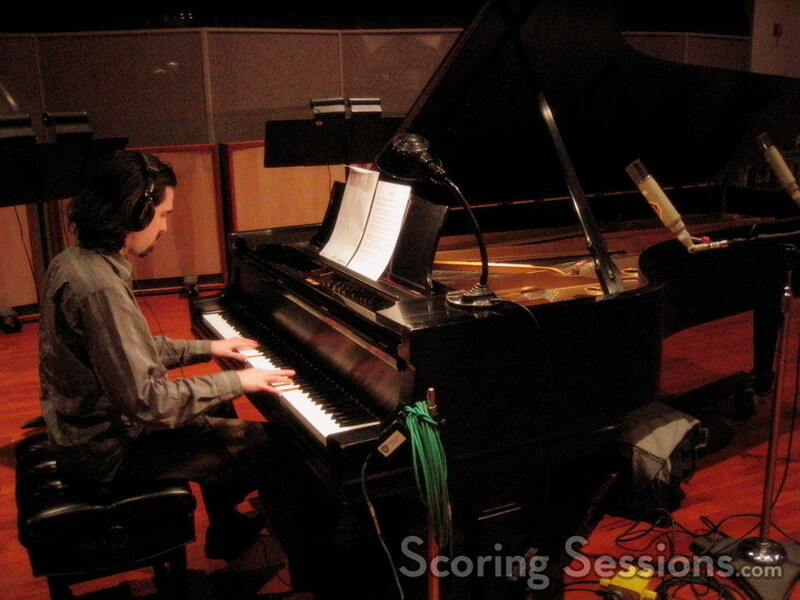 Today "Battlestar Galactica" composer Bear McCreary held a strings and piano session at the Warner Brothers Eastwood Scoring Stage in Burbank, CA. 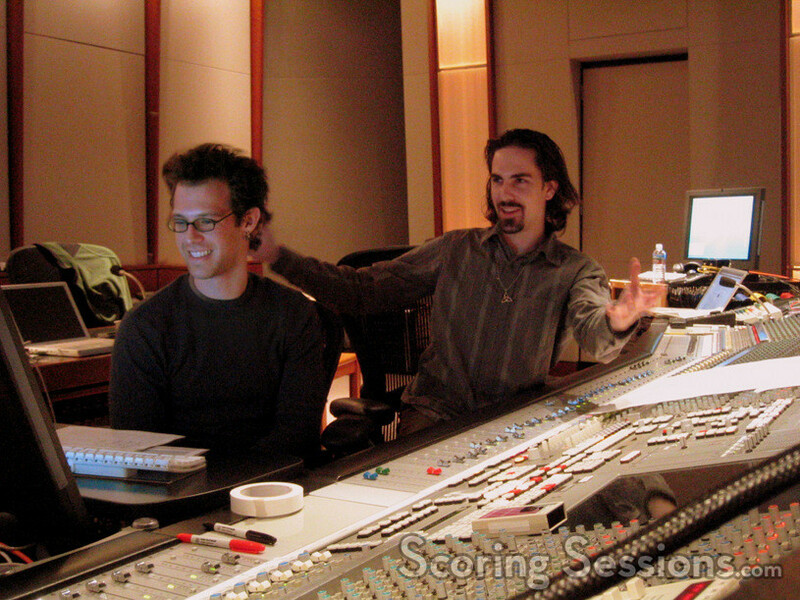 The session was to record music for the upcoming two-episode "season finale", which – according to McCreary – will leave fans yelling at their screens, due to the cliffhanger aspect. There is just over 50-minutes of score over the two episodes (a 60-minute, and 90-minute finale), with only 16-minutes requiring strings. 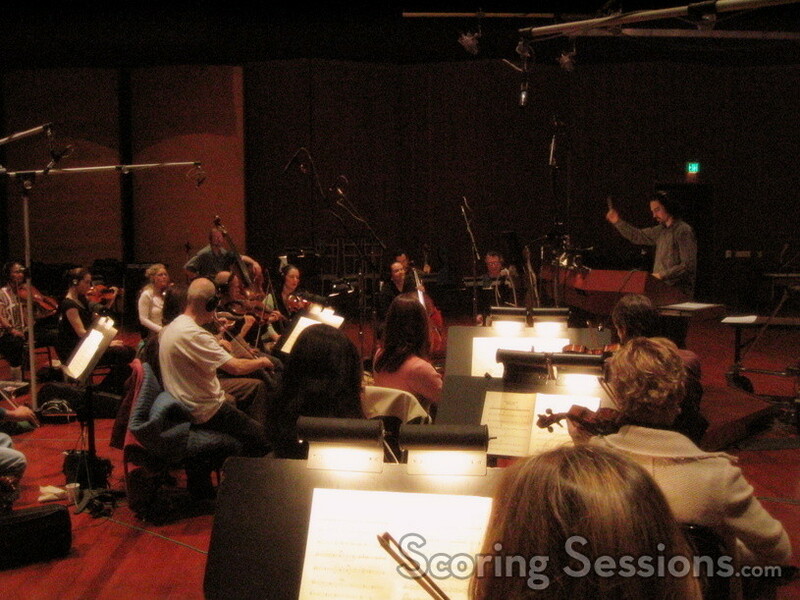 McCreary conducted the 21-piece string session, which included a cue that ran the entire act (approximately ten minutes). "I had 36-hours to write 55-minutes of music, for a 2.5-hour long monstrosity – and only five days to produce it all," explained McCreary. Score mixer and music co-producer Steve Kaplan made sure that the pre-records worked with the strings, and fans of the show are sure to be clamoring for some of these cues when La-La Land Records releases the soundtrack in June. The first part of the final airs a week from Friday, with the 90-minute second-part airing on March 3, 2006.